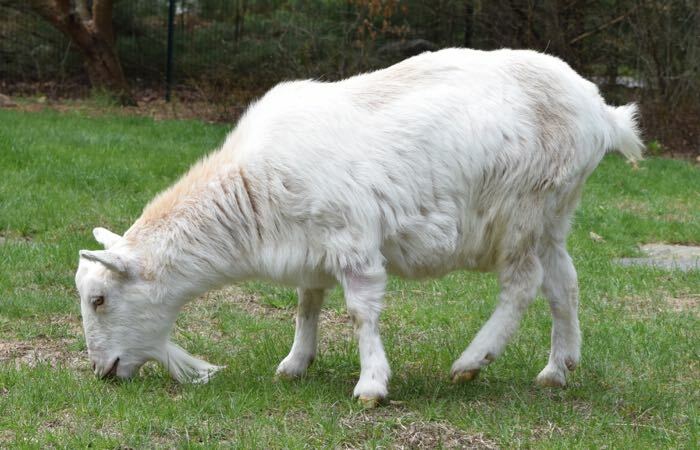 About eight years ago I went to a fair in Maine and was totally smitten when I saw a stall full of Nigerian Dwarf Dairy Goats. I’ve been to countless fairs at which there are animals that I become enamored with. But I’ve never felt the urge to bring home an ox, a Belgian draft horse or a pig. This time it was different. 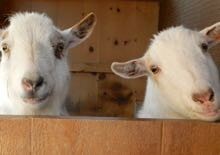 I had to have a couple of goats in the backyard. I looked into it and I decided that I’d get wethers (neutered males), just two, just for pets. I found a small breeder in Maine who gave me first dibs on that year’s babies. On this day, seven years ago, one of her favorite does had twins. She sent me this photo of them. Those were the ones for me. They arrived here on June 22, 2009. It turns out that the neutered males are not as “miniature” as the females. Pip and Caper grew and grew. They aren’t exactly the petite goats that I’d imagined. That’s okay. They need all of their heft to contain their outsized personalities. 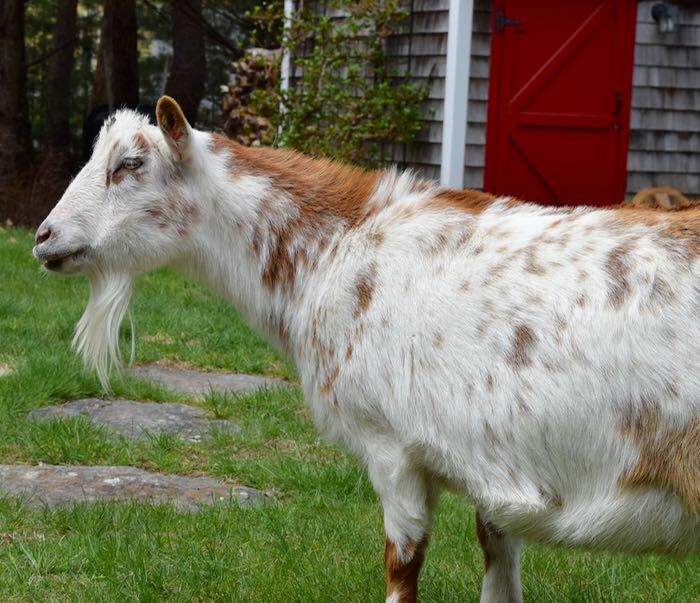 A very happy birthday to you, Goaties! And many more to come. Happy Birthday Pip and Caper!! Also love the pictures and stories your “Mom” posts!! 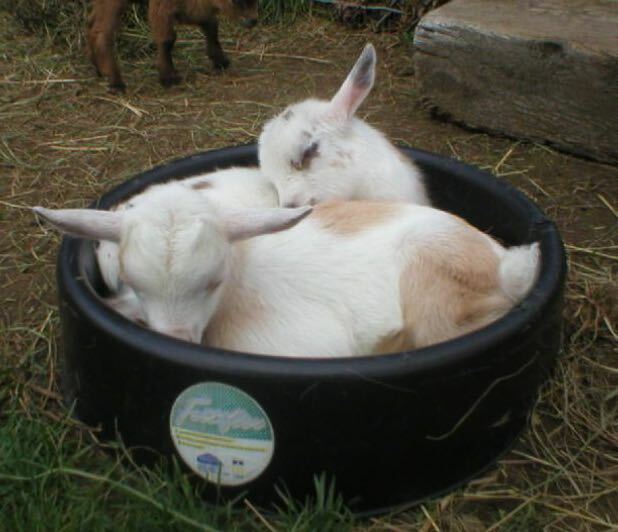 Baby goats in a tub. That would do it for me, too. Happy Birthday boys. It doesn’t seem like eight years ago. That first photo is so so cute. Happy Birthday, you beautiful boys! And many more to come! Sooo cute in that tub! It’s Pip and Caper’s birthday! Hooray!! I love love love those boys! Their antics delight me and their radically-happy personalities are such a joy. 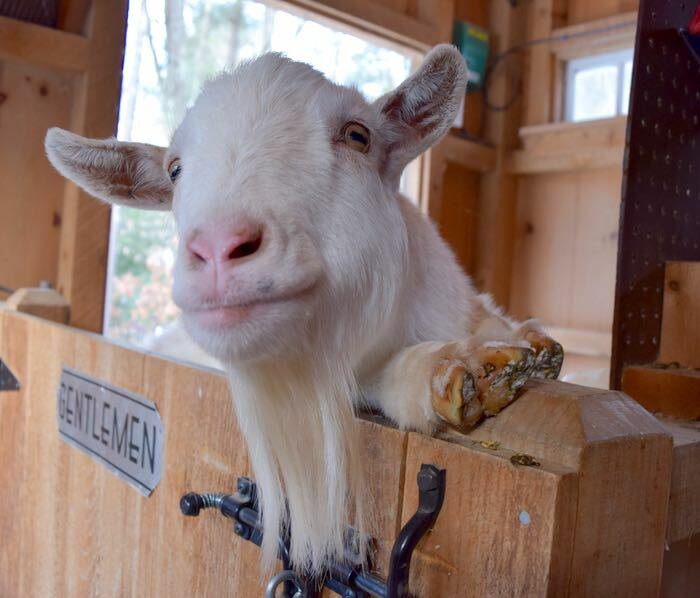 BTW what is the life expectancy of a goat? I’m told that wethers can live into their early teens. I’m hoping for another 7 years. Goat boys forever! Happy birthday, Pip and Caper. If you have been really good, the Goat Maid might let you enjoy some rose brambles, raspberry canes, and peach bark.